Athens Development and Destination Management Agency (ΕΑΤΑ) CEO Alexis Galinos, Athens International Airport (AIA) CEO Yiannis Paraschis, Athens Mayor Georgios Kaminis, AEGEAN Sales Manager Greece Stephanos Sadopoulos and Greek National Tourism Organization (GNTO) President Charalambos Karimalis. 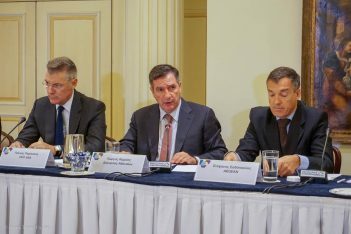 A new record of 5.5 million tourist arrivals is expected for the Greek capital city Athens this year, according to figures presented on Monday, during a press conference held on the first day of the Travel Trade Athens 2018, the Greek capital’s signature annual trade event that aims to launch collaborations between foreign hosted buyers and Greek tourism and hospitality professionals. According to Athens Mayor Georgios Kaminis, the Travel Trade Athens event, now in its six year, has significantly boosted city break tourist arrivals. The mayor underlined that since 2013, when the first Travel Trade Athens event kicked off, city break arrivals to the city have seen a 600 percent increase. This was echoed by Athens International Airport (AIA) CEO Yiannis Paraschis who referred to the large increase in tourist arrivals to Athens, a trend that began in 2013, when the number of tourists visiting the city were 2.5 million. 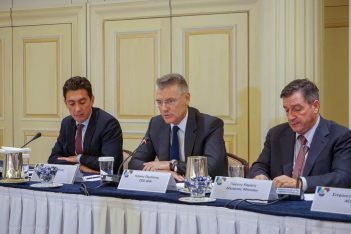 “We reached 5 million tourists in 2017 and the numbers show that this year we will reach 5.5 million, which is a new record,” Paraschis said. 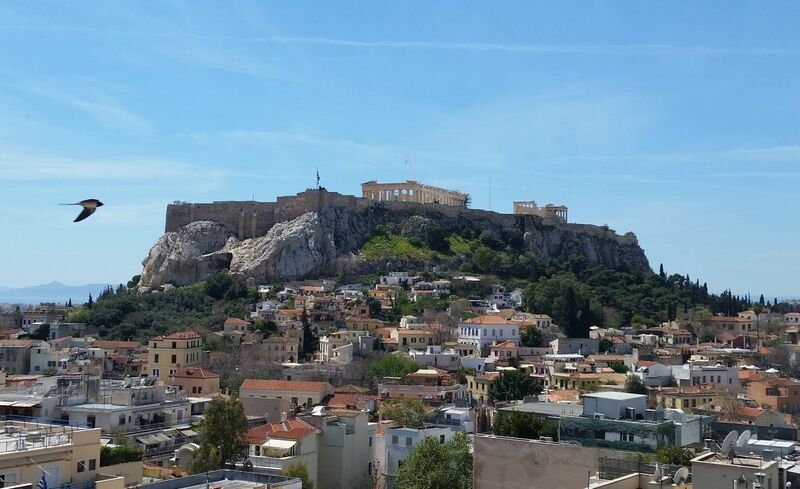 AIA’s CEO also added that the number of “citybreakers” (foreign travelers visiting Athens for the weekend) visiting the Greek capital is also on the rise. “Data for this year’s January-September period show 1.4 million citybreakers in the city as opposed to 1 million in 2017. That’s an increase of over 35 percent,” he said. 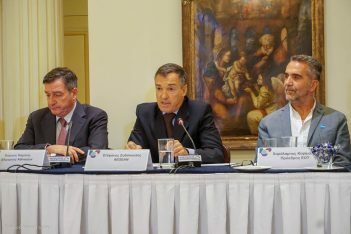 Moreover, Paraschis said that a further increase is expected as the tourism season in Athens has extended, considering that visitors are in the city during the autumn and winter months. 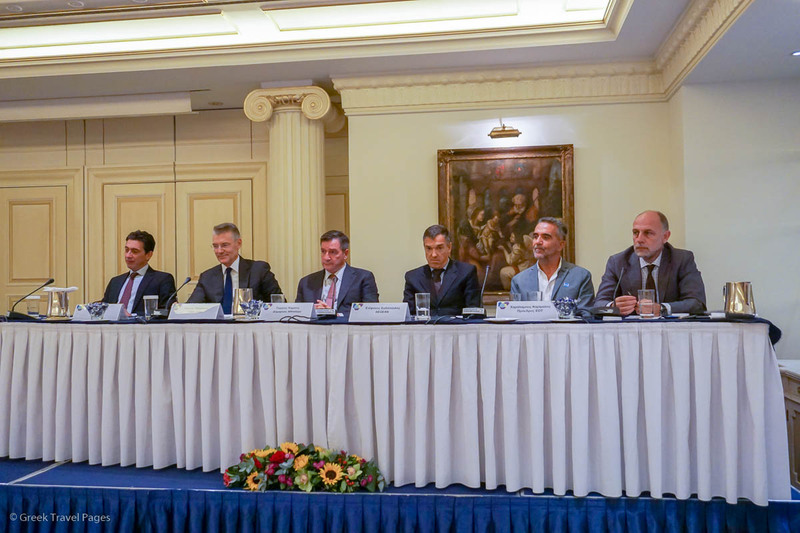 On his part, AEGEAN Sales Manager Greece Stephanos Sadopoulos underlined that the airline is continuing its strategy to strengthen its Athens hub, which brings multiple benefits not only to the Greek capital but also to the country’s regions and islands. This year, AEGEAN added 13 new international destinations to its network and now connects Athens with 81 destinations, against 33 in 2013. According to Sadopoulos, since 2013 traffic from/to Athens has increased by 59 percent. 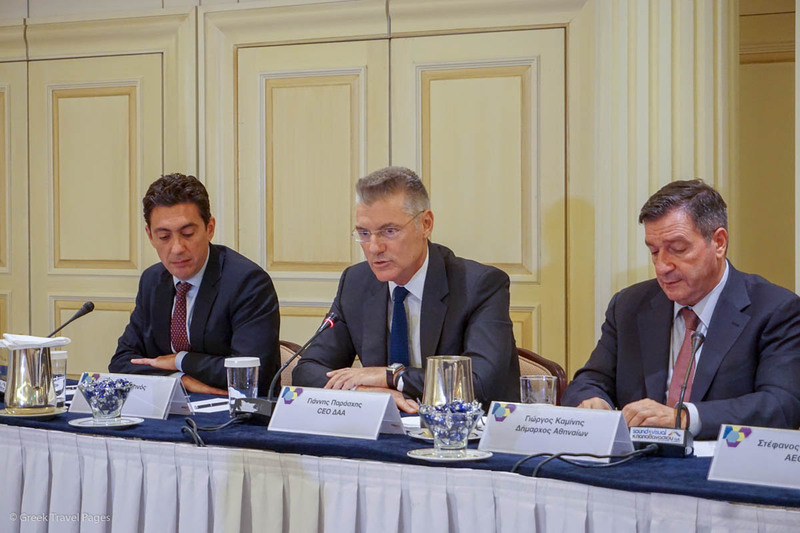 Moreover, Sadopoulos announced a cooperation between AEGEAN and the Greek National Tourism Organization (GNTO) to promote Athens and Thessaloniki as ideal city break destinations to the British, German, French, and Italian markets. The cooperation will run until December. During this year’s Travel Trade Athens, some 100 hosted buyers from a number of countries in Asia, Europe and the United States, representing tourism organizations and agencies, conference and event organizers are scheduled to have B2B meetings with 109 Greek tourism professionals from Athens and other areas of Greece and explore new collaborations. 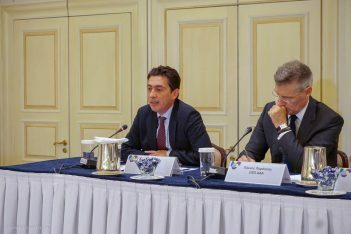 According to Mayor Kaminis, some 3,000 B2B meetings are expected to take place, bringing the number of meetings between foreign buyers and Greek suppliers to 12,500 since the launch of Travel Trade Athens six years ago. As underlined by Athens Development and Destination Management Agency (ΕΑΤΑ) CEO Alexis Galinos, during the press conference, usually one-third of all B2B meetings result to deals made between foreign hosted buyers and Greek tourism professionals, while nine out of ten participants wish to attend the event again. The Travel Trade Athens event is organized by the Athens Development and Destination Management Agency (ΕΑΤΑ), through the Athens Convention and Visitors Bureau (ACVB) and in cooperation with the Region of Attica and the European Association of Tour Operators (ETOA). The event’s leading sponsors include AEGEAN, the GNTO and AIA. Travel Trade Athens 2018 is taking place at the at Hotel Grande Bretagne and will wrap up on Tuesday, October 9.